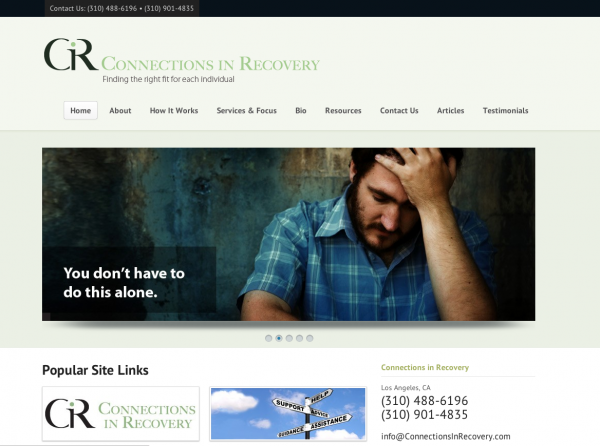 Our Therapy website framework caught the attention of Connections in Recovery, a Los Angeles, California based treatment center for substance abuse. We chose a calming color palette and highlighted the most important service focus on the home page with supporting links and call to action throughout the site experience. Call to action was most important to this client, we were able to use the sidebar to emphasize contact numbers and services.